This month on The Writer and the Critic, Kirstyn McDermott and Ian Mond invite award-winning UK author Robert Shearman to chat about his recent adventures at the Adelaide Writers' Week and the New Zealand International Arts Festival, as well as his ongoing and insanely impressive -- or impressively insane? -- One Hundred Stories project. Hilarity ensues. Highly personal details about Ian's sleeping habits are disclosed. Rob explains why he writes like an uber-caffeinated monkey. Kirstyn edits none of it out. Mwaohahaha. 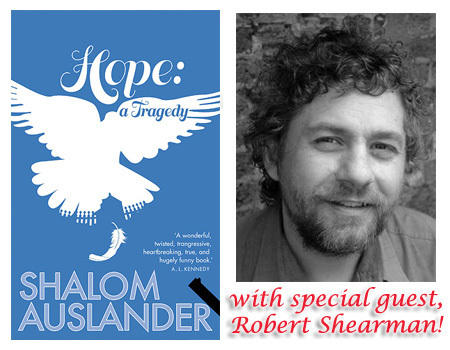 Around the 27:15 mark, the conversation meanders over to Rob's recommended book, Hope: A Tragedy by Shalom Auslander. Despite the fact that it's quite a new book, the trio are relentlessly free and easy with the spoilers, so skip ahead if you'd rather not hear how the book ends. Or begins. Or what happens in the middle. 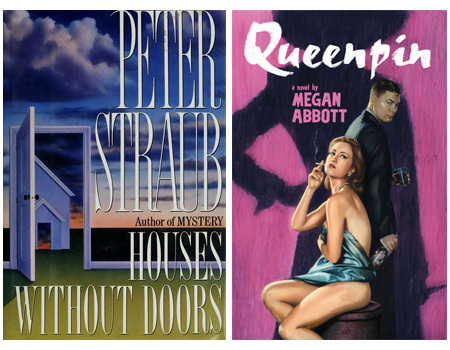 They then move on to discussing the two official podcast books: Houses Without Doors by Peter Straub (beginning at 1:00:30), picked by Kirstyn, and Queenpin by Megan Abbott (1:31:30) which was Ian's recommendation. Yes, it's another looooong episode. You're welcome! Tune back in around the 01:53:45 point for final remarks (and possibly some out-of-tune singing). Next month, Ian has recommended When Gravity Fails by George Alec Effinger while Kirstyn has picked The Night Circus by Erin Morgenstern. Read ahead and join in the spoilerific fun! Thank you, Paul. Travel safe.